The moisturizer you use during the spring and summer likely won't deliver the same results for a winter skin care routine. You'll need a product that can stand up to the harsh winter conditions. WebMD suggested using an oil-based ointment moisturizer. The oil creates a protective layer on the skin to help it retain more moisture. When moisturizing your face, look for non-clogging oils like avocado, mineral, almond or primrose oils. Other oils will just sit on the skin and make it greasy, so choose one that's appropriate for the face. 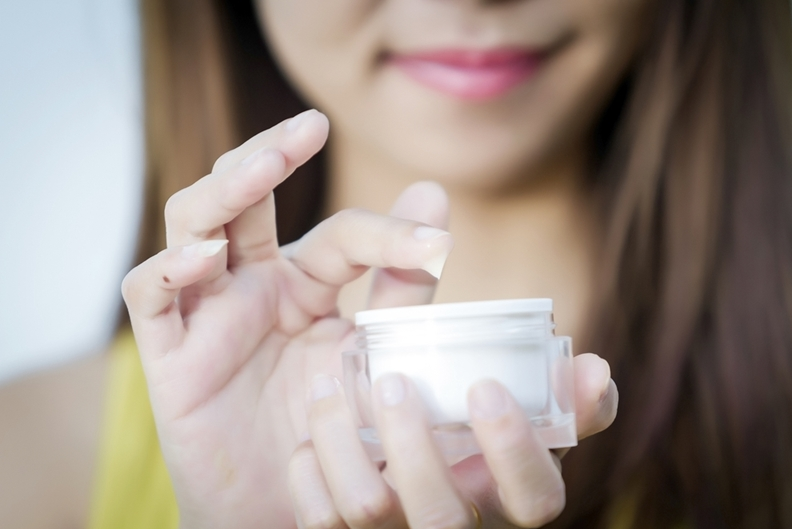 An oil-based moisturizer will help relieve dry skin. Cold weather makes super hot baths and showers seem all the more inviting. However, the intense heat from the water can actually break down lipid barriers in the skin, leading to a loss of moisture. Using warm water and staying in it for a shorter amount of time will help avoid dryness. You can also take a lukewarm bath with oatmeal or baking soda to help relieve itchy, dry skin. After the shower or bath, it's important to periodically reapply your moisturizer to keep your skin healthy and protected. Skin health can be tackled inside as well as outside. Environmental Working Group noted that staying hydrated will help you require fewer products and use them less often. You can stay hydrated by drinking water and eating moisture-rich foods like fruits and vegetables. Not only will this help your skin, it's also beneficial to your overall health as well. "Certain materials are more comfortable and soft to wear against your skin." Whether you go outside for a short time or for a trek through the snow, it's important to bundle up and dress appropriately to protect your skin. Health Grades noted that certain materials are more comfortable and soft to wear against your skin. For example, you might want to wear cotton or silk under wool to avoid irritation. Your detergent choice will help keep your clothes soft and less abrasive. During the winter, it will also be important to protect as much of your skin as possible while outside. Protect your hands with gloves and use a scarf and hat to protect your face. When doing dishes or other chores, it might be good to wear rubber gloves to prevent your hands from coming into contact with chemicals and water. Using moisturizer after washing your hands will keep your skin smooth and hydrated. If these tips don't help preserve your skin, talk to a doctor about prescribed lotions and other treatment options.